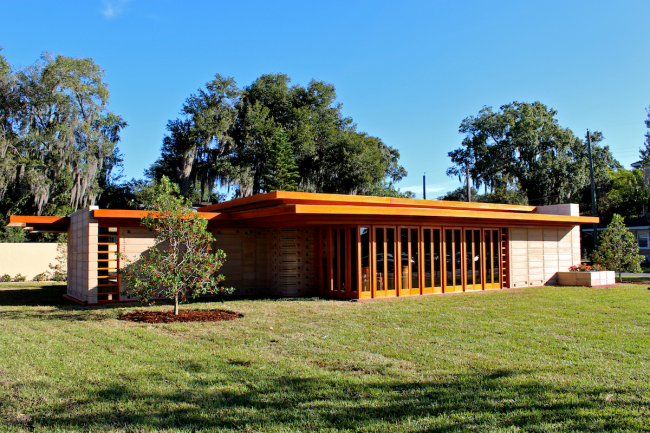 One of the six unfinished Usonian homes designed 74 years ago was finally completed recently on the Florida Southern College campus. Designed by Frank Lloyd Wright to be affordable houses in the mid-1930’s depression era, many of these homes used materials like brick and concrete. Using old floor plans, elevations and renderings, architect Jeff Baker and Mesick Cohen Wilson Baker Architects were able to build the home block by block. Usonian designs can be found scattered across 36 American states, Egypt, London, Japan and here in Canada (in Alberta and Ontario). Characterized by their inexpensive locations, economical sizes and practical materials, these homes are generally single-storey units with flat rooftops and overhangs instead of garages. 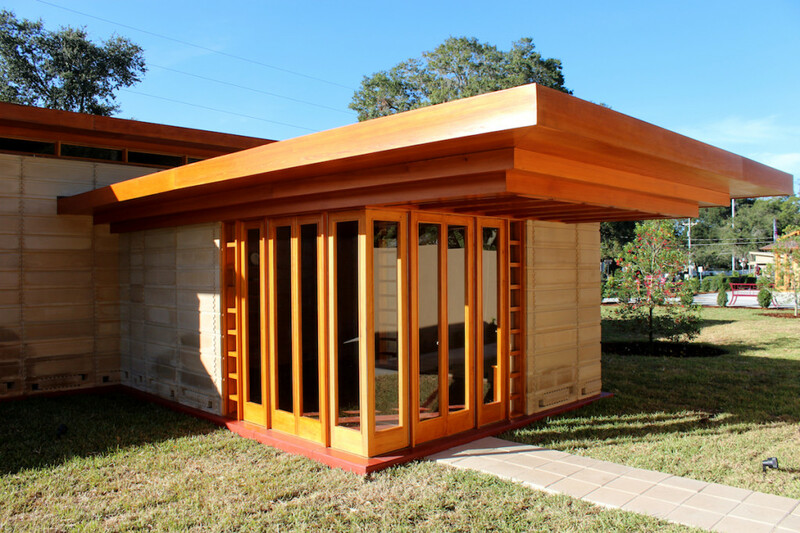 The Florida southern home is built out of 2,000 concrete blocks and 6,000 coloured glass blocks (that look like stained glass windows). 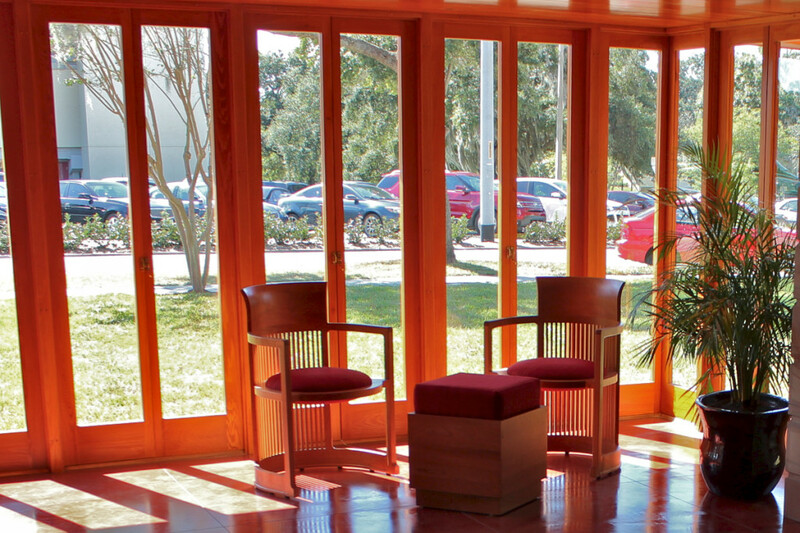 For interior and exterior finishes, approximately 10,000 board feet of southern cypress wood was used, specifically for door parts, windows, lighting fixtures and shelves. Exploring over 50 different cement mixes for the textile blocks, the team says it was challenging to “replicate the original appearance, without replicating the original failures,” said Baker who was motivated to take on this project because his own inspiration as an architect blossomed from Wright’s accomplishments. For coloured blocks, the team used a technique of pouring molten glass into blocks in colour batches. The molds used were consistent with Wright’s original drawings but the mixture was modified to ensure maximum strength. 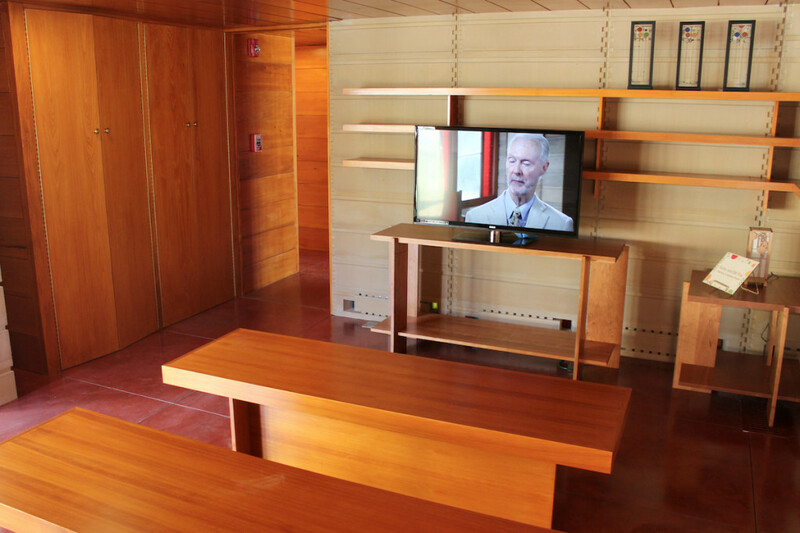 Known as The Frank Lloyd Wright Sharp Family Tourism and Education Centre, the building is now open to the public. 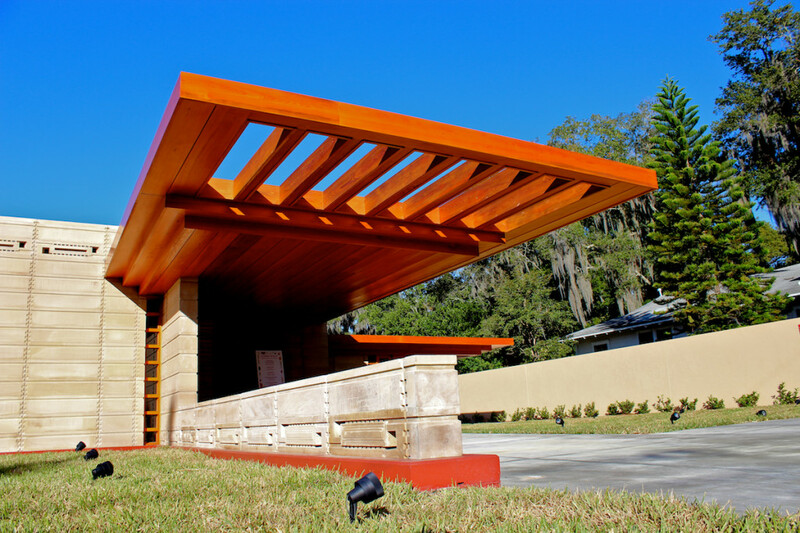 This is thirteenth Usonian building in the FSC collection, making it the largest single site collection of Wright architecture in the world.